SPIS aims to improve IT access to rural areas by operating solar-powered cyber labs inside repurposed shipping containers, making them transportable by road to remote areas. The project was launched in SA in 2011, further spreading to Kenya, Nigeria, Senegal and Sudan as part of a pilot programme. During a recent summit in Senegal, Nepad expressed increased support for the programme. 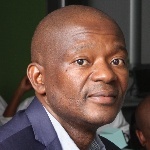 Tshenye says the money saved by communities on electricity costs could be channelled towards infrastructure development in rural areas. Samsung says its cyber labs make use of interactive whiteboards, multipurpose printers and PCs, as well as teacher development through sharing best practices in using ICT for teaching and learning. The company aims to reach 2.5 million learners as its project expands across the continent. Meanwhile, an Abu-Dhabi-based organisation recently urged South Africans to submit entries to stand in line to win a share of $4 million for ideas optimising renewable energy use. The Zayed Future Energy Prize aims to establish itself as a catalyst for innovative ideas for sustainable development by offering winning corporations, small and medium enterprises and non-government organisations monetary prizes for long-term green energy use.